Belize's well known choreographer and composer, and also a radio announcer, had sought early retirement from his job at Radio Belize for political reasons. Adding that his Baha'i religion did not allow him to go into details. Bob's early years, had wrote many plays and choreographed many local dances. composer of the national hit song "Tribute to the Baymen" and recognized maestro of the flute and saxophone. Chuchin, in 1976 formed his second flute band , made up of youths, age 7 to 14 yr. and named it Chuchin Acousta Flute Band. In 1944 he started a flute band which had swelled to 100 in a few weeks. one of Belize's leading pianist at 56 years. Sam made his public appearance at the age of two years at Wesley Bazaar. His opening rendition "It ain't Gonna Rain No More." 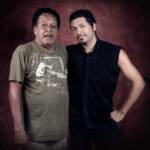 Adolphus had his first jazz band when he was 16, and did tours in Honduras, Mexico, Panama, Guatemala and U.S.A. As a songwriter, he was able to composed more than 30 popular songs. He and his band backed up such stars as Harry Belafonte, Billy Ecksstine and Tony Bennett. Sam finally gave up club gigs, and became the church organist for an Adventist Church in Miami. It was a historic day on Nov. 14th 1978, when the Garifuna Settlement Day Committee of Los Angeles, and almost a hundred well-wishers welcome Mr. Flores "master drummer" from Dangriga, at the Los Angeles International Airport. Mr. Flores attended Mass on the Saturday morning at St. Michael's Church on Manchester Ave. The Mass was officiated by Father Oswald Reyes. The congregation ended the mass on a high note chanting the chorus of "Lanigee Bime "The Celebration Dance was held at the Elks Hall in Hollywood. The musical magic of Bernard Nelson continues nightly except Sunday from 8:30 p.m. at the Holiday Inn, Downtown's top O' the Inn. Nelson, talented vocalist-organist and leader of The Barons duo, is a native of British Honduras who has also lived in Mexico City. His smooth way with a song and mastery of the the keyboard make him one of the most engaging entertainers currently appearing on the border. Larry Battle ably assist on drums and vocals. Music is more than the art of combining sounds in rhythmic, melodic and harmonic forms. It is a universal language. It lacks the words of a spoken language yet instills in people sentiments that words fail to describe. The first forms of music perhaps consisted of cries, shouts or even ritual expressions. The early man was quick to realize that a melody can give words more mean. One important aspect of past musical traditions is that we not only learn about the music, but of its position in society as well. The marimba music is no exception. The marimba is made up of 32 to 36 notes. Marimbas vary. Some have only the "white notes" (natural) of the piano while others have a much larger "keyboard" with both the white and black notes (sharp & flat) of the piano. The marimba is played with small, wooden hammers. The origin of the marimba is not clear. Some say it is of Afro-American origin. Others advocate that it is of Maya or Meso-American Indian origin. What is clear though,-is that the marimba has touched the lives of most Belizeans. Many times we hear our grandparents or great grandparents make nostalgic references to old days when the marimba music once burned the dance floors. Some old folks have even described the marimba as the most loyal companion of "serenaders". Presently, although not as much as 20 years ago, the marimba is still part of religious events and activities related to old customs and traditions. Some of these traditions are still alive, especially in the Toledo and Cayo Districts. For example, the "deer dance" is still performed in San Antonio, Toledo District. The "deer dance" is the story of a hunter told with the marimba music and performed each year on August 25. On this day a pole is soaped and greased. A prize, usually money, is put on the top and three men are chosen to climb it. The successful person gets the prize. In San Jose Succotz, there are the "hog head" mañanitas", "quinceaños" and "El Baile de los Mestizos". All of these dances are accompanied by marimba music. And "Las Alboradas" are held around July in the nearby town of Benque Viejo del Carmen, when the town holds its annual fair in honor of its Patron Saint, Our Lady of Mount Carmel. Then there is "las Posadas" a re-enactment of Saint Joseph and the Virgin Mary searching for a place to stay in Bethlehem during Christmas time. The Benque Viejo community has highly identified itself with the marimba. The town even has a marimba band, "Linda Beliceña" which is owned by Mr. Felipe Morales, who made his first marimba when he was 17. Since then he has been making and selling marimbas. Mr. Morales natural musical talent enables him to compose his own songs and make modifications to modern ones. He had worked on his own version of "La Lambada". His band plays almost any song, both traditional and modern. "Linda Beliceña" also performs at birthday parties, weddings and also entertained tourist that visited Belize City. Belize is a country known for its natural wonders, the hospitality of its peace loving people and its rich cultural mix and traditions. There is a need to preserve Belize's culture, traditions and folk songs. The Marimba Music is only one of these. No wake was held because he didn’t want a wake, Berry’s daughter said. Following the religious service today, relatives and friends gathered at the restaurant, and the family was, late this evening, trying to decide what to do with Berry’s ashes, since he had not specified. Julie said that today has been filled with truly special moments, such as the reflections of a 95-year-old couple who got married in Placencia, and who are among her father’s fans. She noted that her father, who began to explore his talent in his teenage years, was blessed with a special talent — able to play a song after hearing it just once, even though he knew nothing about reading notes. His favorite instrument, said Julie, was the acoustic guitar, which can still be seen hanging at his restaurant. He also played the harmonica, the flute and the keyboard. Local Placencia bands, such as Ugly Ducklings, used to leave a plug for him to drop in his jazz intonations, his daughter recalls. 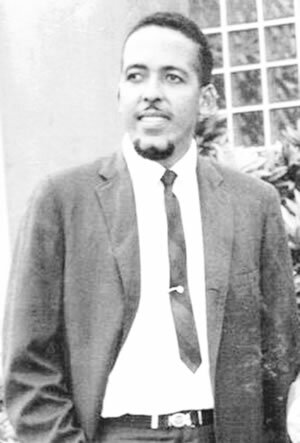 His family recounts that Berry’s career reached its peak in the 1950s, but he is also known for a 1970s show Jazz Hour with Cleveland Berry on Radio Belize. 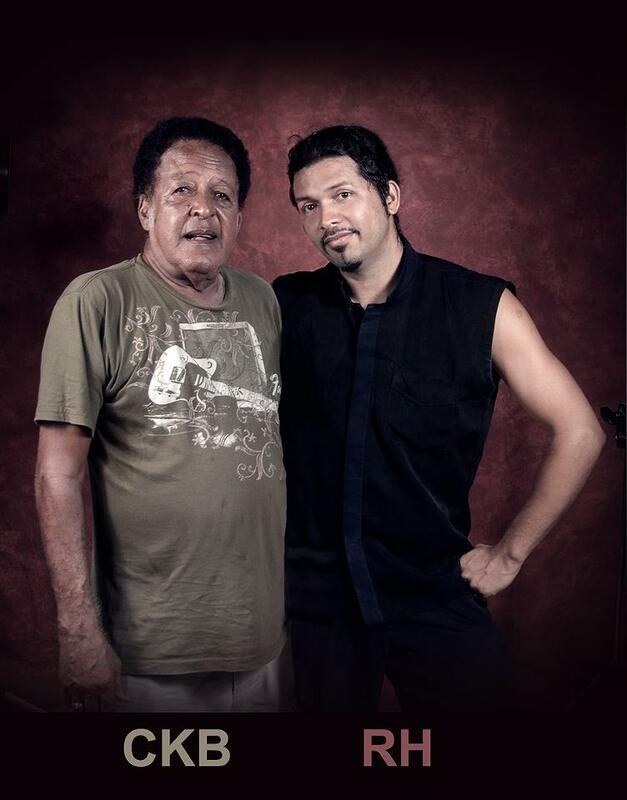 The Association for Belizean Artists First honored Berry in 2005 with a Lifetime Achievement Award. Four of Berry’s children, who live abroad, were in Belize at the time they found out he was ill and needed emergency surgery. Cleveland Berry is survived by his children: Belinda Berry, Cleveland Berry, Jr., Dawn Pollard, William Berry, Julie Berry and Andre Berry. He is predeceased by his wife, Juliana Berry (nee Pate), and his eldest daughter, Dr. Marla Berry-Holder. 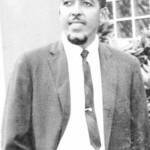 He also leaves behind a sister, Farida Berry-Vernon of Canada; and brother, Ronald Berry. Cleveland Berry, 77, one of Belize’s most endeared jazz musicians, known for the hit songs “Hurricane Hattie” and “Good Mawnin, Miss Lady”, lost his battle with cancer on Friday afternoon, July 6, 2012 when he passed away at the Belize Healthcare Partners in Belize City. Relatives said that Dave Brubeck’s “Take 5,” one of Berry’s favorite jazz tunes, played in the background as his soul went to sleep. Berry is a longtime Placencia resident and proprietor of Galley’s Restaurant in that village, a venture he and his late wife began more than three decades ago. 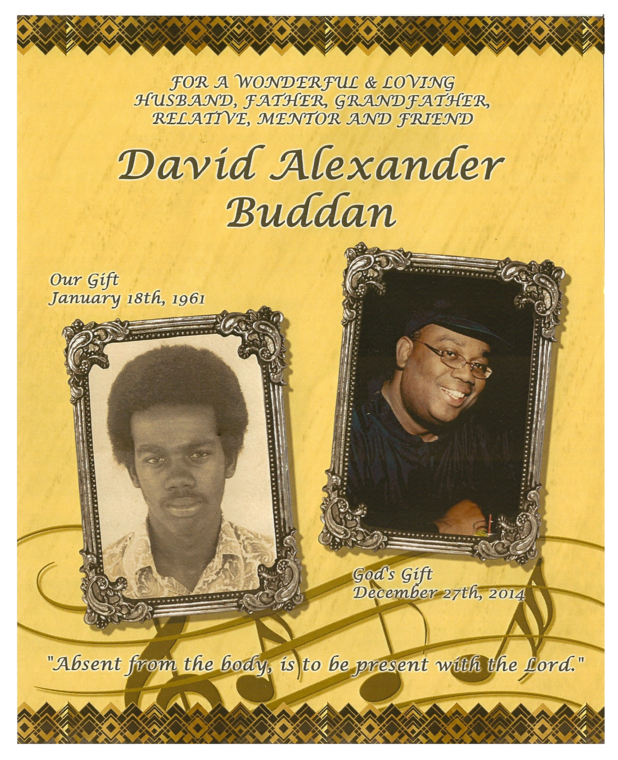 He was cremated and a service was held at the St. John’s Memorial (Anglican) Church in Placencia today, Monday. Speaking with Amandala this evening, Julie Berry, one of his six surviving children, reflected on today’s service, saying that it was truly a celebration of his life. The eulogy was delivered by her brother, Cleveland, Jr., and there were Scripture readings by four of Mr. Berry’s grandchildren. 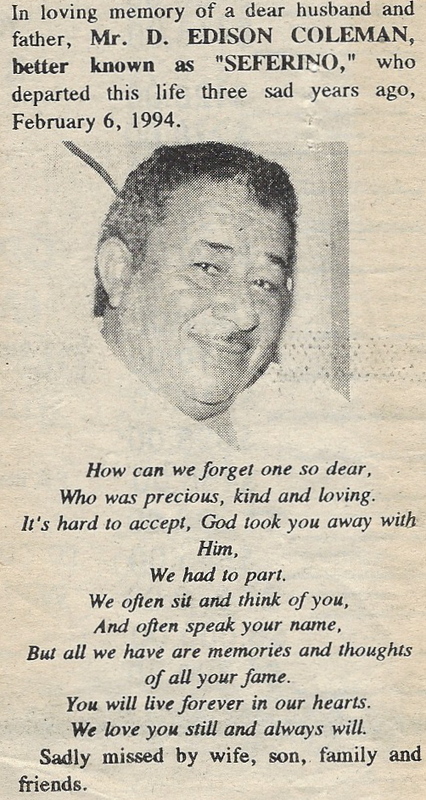 Another Belizean Icon, "GONE HOME TO REST IN PEACE"